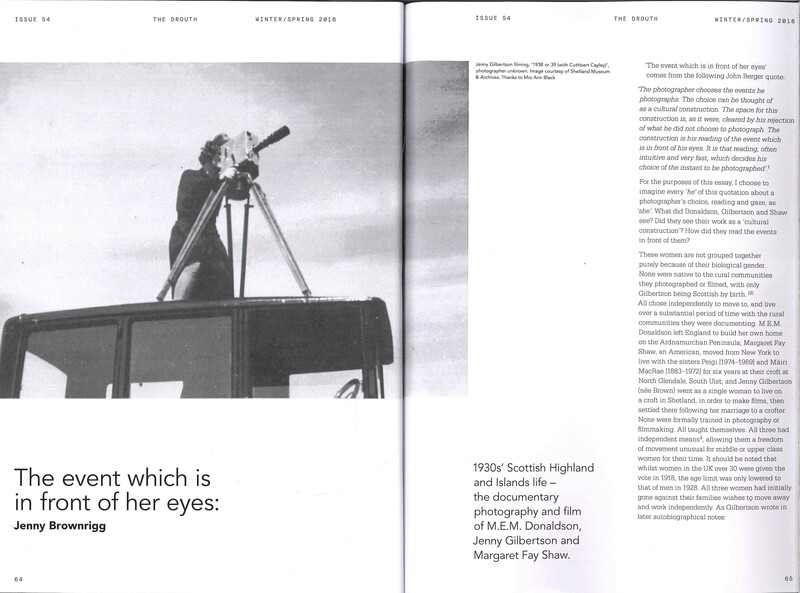 ‘The event which is in front of her eyes: 1930s’ Scottish Highland and Islands life – the documentary photography and film of M.E.M. Donaldson, Jenny Gilbertson and Margaret Fay Shaw’, is my first essay to be published following Research Leave Oct-Dec 2015 from The Glasgow School of Art. 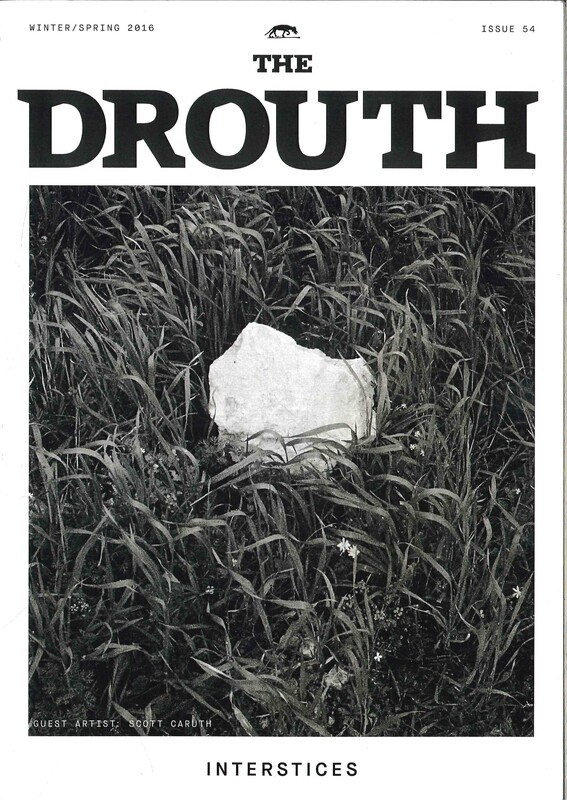 The essay is published in The Drouth Winter / Spring 2016 Issue 54 ‘Interstices’, p64-82. ‘Interstices’ has been guest edited by Nina Bacos and Ben Rush. I am grateful to Shetland Museum & Archives, Mrs Ann Black, Canna House (National Trust for Scotland), Inverness Museum & Art Gallery and National Library of Scotland for permissions. Also to Shona Main, Dr Sarah Neely, Magdalena Sagarzazu, Fiona Mackenzie and Lesley Junor for their support and knowledge. The essay looks at the motivations of M.E.M. Donaldson, Jenny Gilbertson and Margaret Fay Shaw, for making the work they did; and how they represented the subject of Highland and Islands Scotland in front of their camera. Through comparison of their work and processes to their better known male contemporaries who were also documenting Scottish rural communities, I also frame their work in a wider national and international context of the documentary photography and film making of the inter-war years.